A month ago, our family had a phone call from my nephew saying “Philip is racing in the Olympics.” Philip Hindes was chosen to ride with Sir Chris Hoy and Jason Kenny in the track cycling team sprint as man one. Come the day, we were in Hyde Park’s Team GB VIP area, cheering him home in gold position. 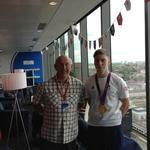 The following day, we were invited into the Team GB VIP area at the Olympic park, to see Philip and have a photo session. We were then gate crashed by a certain David Cameron, who came to offer Philip his congratulations, and also to see Philip sign the GB gold signature board. It just strikes you that these events can be close to home. My memory of holding the medal is something that will stay with me forever. When Britannia Smeeton Panton were asked to quote for a removal from Horncastle to Scotland, they were not aware as to the extra planning that would be needed. After the estimator had been around the house, he was then directed to the rear of the property, where sitting snugly in the corner, was this very large hot tub. Then came the dreaded instruction’s, ‘oh yes the tub goes’. 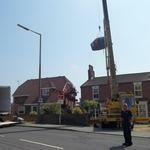 After lots of head scratching it was agreed that the only way out was to crane it over the house. Come the day of the removal, with it being the centre of attention, it was a huge relief to see it safely tucked inside our vehicle. One picture shows our 2 members of staff waiting in the hot tub, either for the hot water, or more than likely the ‘bottles of wine’. Smeeton Panton website goes live! 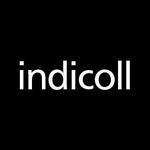 New website from http://indicoll.co.uk is now live, we hope you like what we have done and look forward to hearing from you soon. 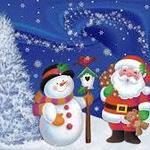 You can follow us on twitter, for all the latest news. We will bring you all the latest information about removals in Lincolnshire.